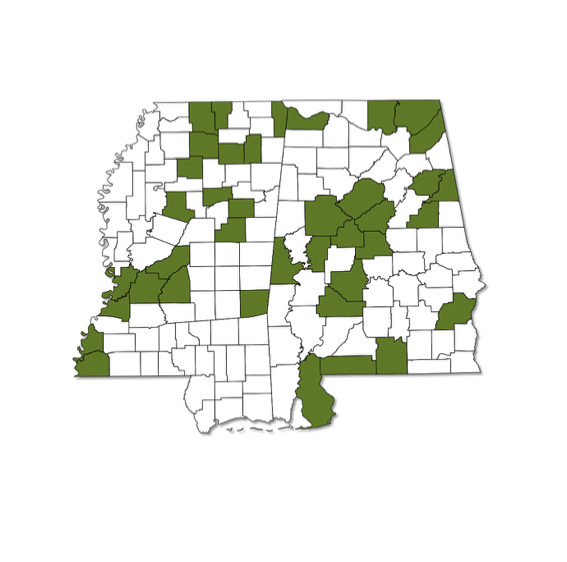 A common species throughout Alabama and Mississippi. Upper surface of forewing dark brown with small, triangular shaped white spots not forming a line. 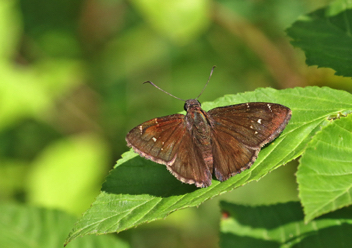 Fringes of wings checkered brown. 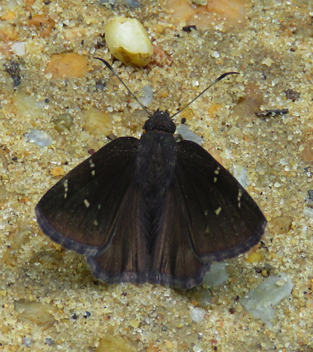 Face is often dark and the antennal clubs lack the white area at the bend as seen on Southern Cloudywing.